Arthroventions participated in the I-Corps Clinical Translation Program at CU Denver’s Colorado Clinical and Translational Sciences Institute (CCTSI) to better understand the KneeTap’s value proposition. Through the clinical translation program, the Arthroventions team had the opportunity to attend an intense, three week customer discovery experience, which allowed them to realize where gaps in their business model and value proposition existed. 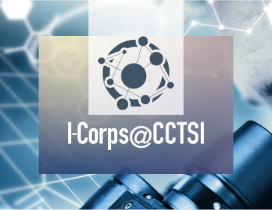 This entry was posted in News & Blog and tagged #I-Corps, #CU Denver, #CCTSI, #Clinical Translation, #Value Proposition, #Customer Discovery. Bookmark the permalink.